Our Family: My Crafty Daughter – What's for Dinner Moms? When we lived in New York my daughter was homeschooled. After the first day of 6th grade she looked at me and said, “These kids are annoying and they are wasting my time. Can I please be homeschooled?” She knew herself well enough to know it wasn’t going to work out for her in a traditional school. When we moved to Michigan she was all set to be homeschooled until we toured the elementary school for her brother. She asked if she could just look at the middle school. Of course! The first room they showed her was the Life Skills room. There were 4-5 cooking stations and about 20 sewing machines in the room. She was in heaven. She pretty much decided right at that moment to go back to traditional school. She loved the sewing classes so much that she took them for an elective in 8th grade too. We bought her a sewing machine for Christmas and she has continued her sewing off and on. She makes and designs small gifts for her friends and family. She has made pillows, hair bows and doll clothes. 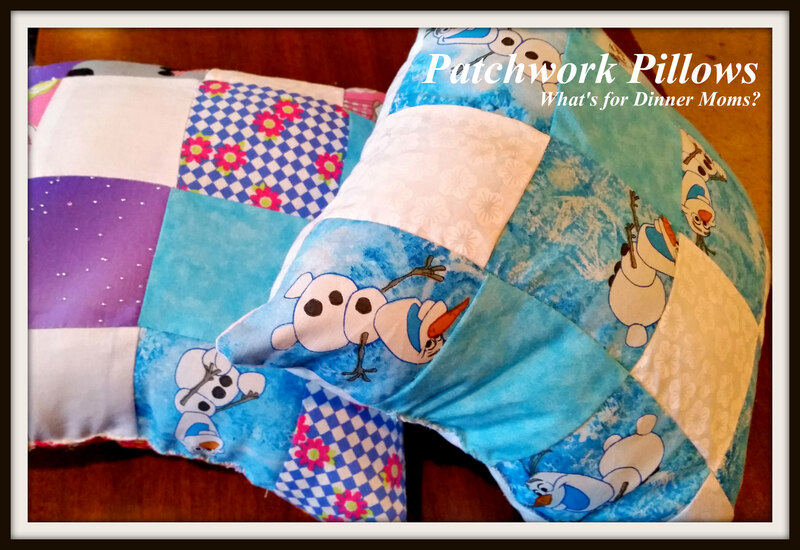 Now she is working on Mickey ears of varying designs (in anticipation of our next Walt Disney World trip) and she is starting to make patchwork pillows. I am hoping she continues along this path and starts making some quilts. She loves her first attempts at her Mickey Ears (above Ariel, Minnie and giraffe ears) and that in her first attempt at patchwork she got most of the corners square in the center. She is already planning her next ones and how to make them better. This is great and I am so glad you are encouraging her. I learned to sew young and it has served me well from making my own clothes, to being able to mend and make repairs and alterations to expressing myself through original fabric art. Love the Mickey ears! Thank you! I am hoping she can work her way through college making alterations and repairs for college kids! Those hair bows are awesome.. Thank you. She is learning. Thank you. She is learning and they get better each time she makes a new one. My daughter had exactly one summer of sewing, and I even bought her a new sewing machine. It has now sat unused for about five years. I am glad to see your daughter still enjoys using her skills! Very creative ears! Adorable and inspiring! Thanks for sharing the story. Thank you! I am proud that she has found something she loves to do and enjoys it so much! I love to hear about young people sewing. I have loved sewing all my life. Those Mickey Mouse ear headbands are fabulous. Kudos to her! Thank you! My mother sewed all our clothes and costumes when we were little. I learned to sew enough to hem and fix things but I am glad to see her pick it up and enjoy it! Those ears are adorable! She’s going to be quite the seamstress if she keeps at it. She is hoping to take some more classes this fall. I never quite got the hang of sewing. It stresses me out, but my sister makes her own clothes without a pattern. Yikes, I could NEVER do that! Our church is having a craft fair in November. 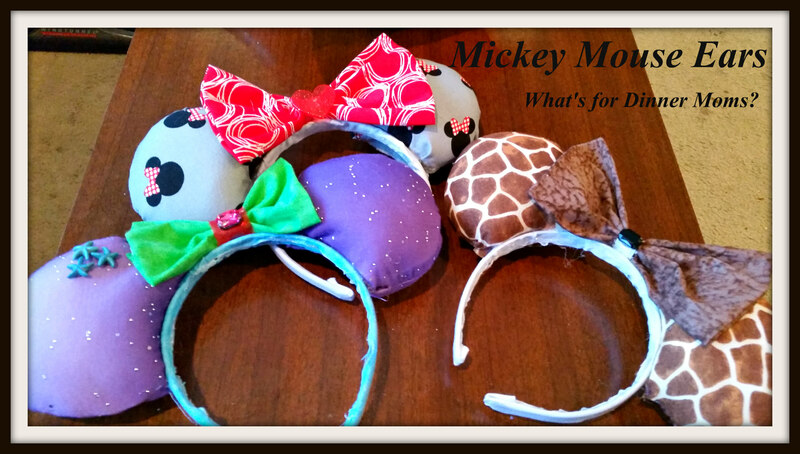 I bet these Minnie ears would go great! Soooo, sooo cute and creative! Thank you the only sewing is the circle for the ears. The rest is hot glue! Great blog. Personally I think schools (especially in NY) are geared way too much to academics, which is fine but not everyone fits in that box. I myself went to high school and had a Commercial Course which covered things like typing and shorthand which you dont see in schools anymore….I am not the algebra/geometry type of student so I was taught bookkeeping….and this course served me well – still a secretary and love it (or now they call it Admnistrative Assistants)…. Thank you! Yes, my daughter loved moving to the Midwest because she had a few more options still like sewing, cooking, etc… This is just where her passion and talents lie. So hard when we push all students into one mold. Your daughter sounds so clever! At her age, I could maybe knit one square, and then would get bored haha. Now I’m playing catchup! True! I love being able to take my crochet work with me wherever I go. She’s very creative….like her mommy!